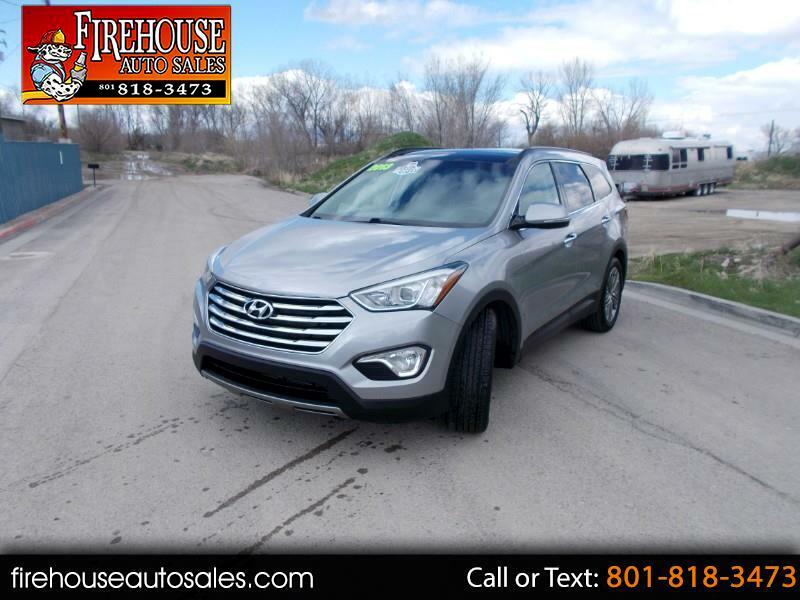 2013 Hyundai Santa Fe AWD 3rd ROW SEAT! CARFAX One-Owner. Clean CARFAX. Clean Title. Silver AWD, Black Leather. 3.3L V6 DGI DOHC 24V 6-Speed Automatic with Shiftronic AWD LOADED LOADED LOADED!!! Navigation, Full Sun Roof, Back Up Camera #rd ROW SEATING, Rear Buckets!! Tax, title, and license fees extra. Outside temperature display, Overhead airbag, Overhead console, Panic alarm, Passenger door bin, Passenger vanity mirror, Power door mirrors, Power steering, Power windows, Rear air conditioning, Rear anti-roll bar, Rear seat center armrest, Rear window defroster, Rear window wiper, Remote keyless entry, Security system, Speed control, Speed-sensing steering, Steering wheel mounted audio controls, Telescoping steering wheel, Tilt steering wheel, Traction control, Trip computer, Variably intermittent wipers, Front beverage holders, AM/FM radio: SiriusXM, FULL Panoramic Sun Roof!!!! Please Check our GOOGLE Reviews!! !